Indian Furniture Exporters, Indian Furniture Manufacturers, Wooden Furniture Exporters. Keeping with the current trends and requirements of our overseas buyers, we as Indian furniture manufacturers & exporters offer a complete range of wood furniture / accessories / carvings that can be broadly classified into the categories :original pieces, made-up pieces & production pieces. Available both in carved and painted finishes, we have a fine collection of artforms in sandstone and marble. Our selection of marble handicrafts in India includes flower vases, planters, wall panels, book ends and architectural elements. 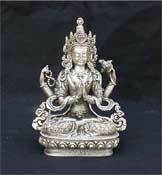 By following the techniques of casting, exquisite Bronzes or minutely detailed figures are created. To suit your preference, the metal is oxidized in different finishes to offer you a carefully picked selection of figures and artwares. Silver articles like photo frames, boxes, salvers, trays, candle stands, bowls and an assortment of decorative pieces - each delicately embossed, engraved or worked by master craftsmen is what we offer in our Silver selection. Creativity of the goldsmiths can be seen in the numerous designs of rings, bracelets, eartops and necklaces that form our Jewellery collection of Gold and Silver - some in plain silver antique jewellery finish, others with precious & semi-precious stones. extremely affordable prices a hand picked selection of wooden furniture - both original and production items in the old styles. We are manufacturers, retailers and Indian furniture exporters, Indian handicrafts exporters of carved wood furniture in India, handicraft items, wooden furniture exporters, exquisite brassware, silver & marble artware, silver jewellery & objets D'art. warehouse. The result - a long list of satisfied customers spread all over the world - Australia, America, Mauritius, Isle de Reunion, Japan, Greece, Italy, France, Spain, Kenya - who continuously inspire us to do better and better, towards our goal to be one of the leading Indian handicrafts exporters, wooden furniture exporters. La Boutique India - Manufacturers of Indian Furniture and Brass Handicrafts Exporters.